View our Cross-Country Bike Trail Map showing local valley singletracks accessible via the valley trail. View our Online Trail Database showing cross-country and downhill trails around Whistler. Mobile friendly version available. The Sea to Sky Trail is a non-motorized, multi-use trail currently under construction in the Whistler area. 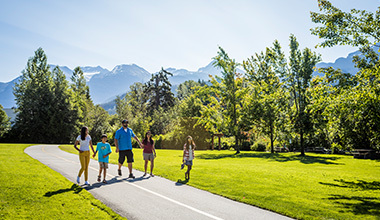 When complete, the 180 km trail will connect Sea to Sky communities from D'Arcy to Squamish. To learn more about the project and see which sections of the trail have been finished, please visit the project website. Whistler offers fantastic cross-country riding that will have you adventuring through the forest and sharpening your skills in no time. 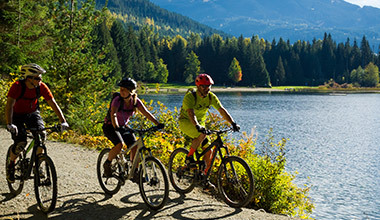 If you are learning how to tackle the trails or simply want to explore the vast trails network around Whistler, there is a tour to satisfy your desire to get rolling. 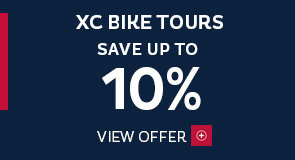 Receive 10% off guided Cross-Country Bike Tours. Book by May 31, 2019. Search below choose from the latest in cross-country bikes. Frame size may be determined upon pick-up. WORCA is the local non-profit group responsible for maintaining many of Whistler’s mountain bike trails to the highest environmental standard possible, as well as advocating for mountain bike trail access. In addition to trail work, they run regular bike events including the Toonie Ride Series, Phat Wednesday series and youth programs and clinics. The trail network that exists in Whistler today would not be possible without WORCA, who rely on volunteers and the support of member fees to keep things rolling. Consider coming out to a trail day or supporting their maintenance and construction through a WORCA membership or trail supporter pass on your next visit.